Is it a boon or a curse? 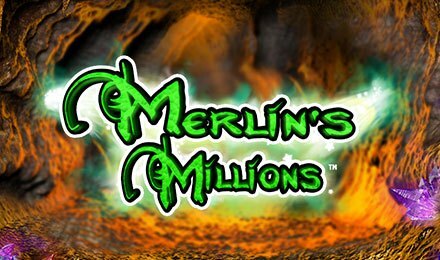 Let Merlin reveal the secret on Merlin’s Millions Slot. This game has numerous features such as stacked wild, bonus, and free spins! Merlin the Arthurian legend has made his apparition on the fantastic NextGen Gaming’s slot called Merlin’s Millions. With animated graphics and an immersive soundtrack, this 5 reels and 50 paylines slot will take you on a journey of magical wins. Merlin is the Stacked Wild symbol on the reels. With the SuperBet function, you can choose win multipliers of up to 10x on each spin. The Magical Orb will take you to the Free Spins feature, while the owl will guide to a Pick and Win feature known as the Owl Bonus.